We present you a classic, sneaker cotton with elastic side type "kunfu" ideal for the whole family, both for being at home and bring them out in the street. By buying this product you can collect up to 95 loyalty points. Your cart will total 95 points that can be converted into a voucher of 0,76 €. 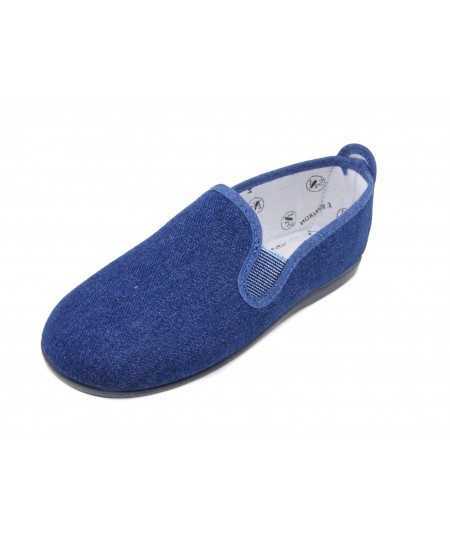 No doubt cotton canvas sneakers, called slipper "kun fu" or also known as "bakers" are one of the most classic models that exist, ideal for use as house slippers or even to bring them out in the street. -Blue marine, the most used, classic and easy to combine. -White, one of the colors more defendants in summer. -Red, cheerful and eye-catching, perfect to give a touch of color. -Beige, discreet, and easy to carry. -Tejano, wildcard, combinable with any clothes. Outside is canvas 100% cotton, very soft and resistant, in addition they can be washed both hand and machine, always with a delicate detergent and cold water. They are lined with soft cotton fabric, with the engraved logo. The template in also of soft fabric of cotton and is lightly padded for added comfort. The elastic side bands make that you fit the foot without pressing. They have the same color as the canvas rubber sole, are Vulcanized, so they are very flexible and durable. They have a label with the logo on the heel. 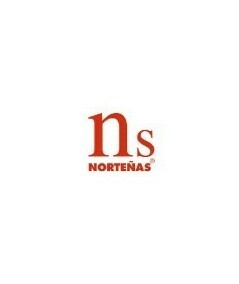 Manufactured in Spain by Northern brand. "Baking" sneakers are perfect for you can use the family, light, fresh and comfortable, definitely a safe bet for the summer. They are also very practical for use in gyms or extracurricular activities for you smaller House.